Brenntag Tunisia is part of the Brenntag Group, the global market leader in full-line chemical distribution, which provides global business-to-business distribution solutions for industrial and specialty chemicals by linking chemical manufacturers and chemical users. Brenntag offers one-stop-shop solutions to more than 185,000 customers. Headquartered in Essen, Germany, the company operates a global network with more than 15.000 employees across 550 locations in more than 74 countries. In 2016 the company realized global sales of EUR 10.5 billion (USD 11.6 billion). 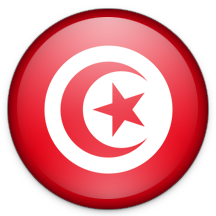 In the Maghreb region, we are active in Morocco, Algeria and Tunisia. 1996 : Group Alliance was founded as a chemical distributor, created out of the old DOW distribution offices. 2005 : Brenntag took a share of 51% in Group Alliance and the name got changed to Brenntag Maghreb. 2009 : Brenntag took full control over the management of the company. 2010 : Brenntag got the remaining part of the shares making the company a 100% daughter of the Brenntag group. With our team of approx 100 persons we maintain a close and local relationship with our customers.The sales team of our company exists of chemical engineers. Together with our partners they are constantly developing the business by finding new solutions to our customers’ challenges. Being a full Brenntag company the corporate rules related to Health, Safety and Environment of course also apply to the Maghreb region. This means that we are implementing the Brenntag HSE guidelines even if the local legislation does not always require this. The HSE guidelines also play an important role in our constant search for new opportunities as we are looking for partners who are interested in a long term relation and who have similar ideas on HSE. Whether you are a producer interested in developing your products in the region or whether you are a company situated in the Maghreb and looking for a stable distributor we warmly welcome you to contact us.